Look at all the foreign cars! 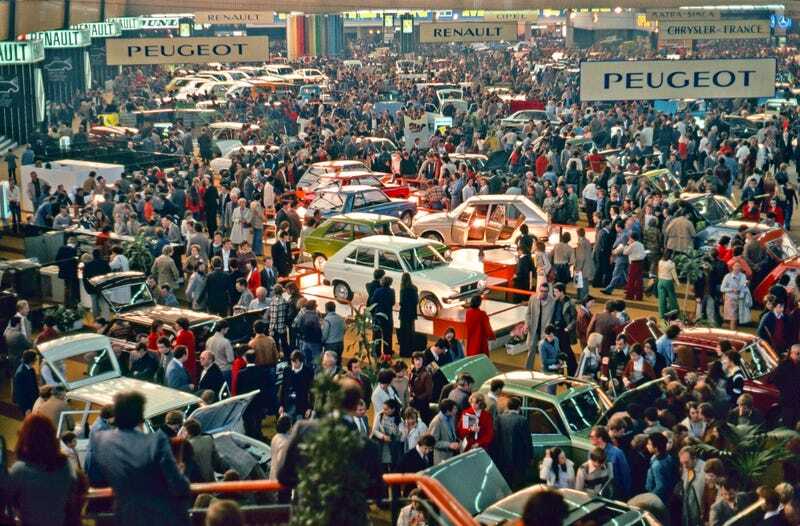 The 63rd Paris Motor Show, 1976. As for the title, that comes from a story my father told. Back in about 1960, he spent a semester studying organ at the Mozarteum in Salzburg. He and other music students from the US sailed to France onboard a Cunard Line ship, not sure which one. As the liner pulled into Le Havre, all the students, many from rural America, were gathered at the rail and one of the students called out, “Look at all the foreign cars!” Of course, “foreign” is a matter of perspective.